The question I present to you, the interested public is: Was Night, a slender volume of approximately 120 pages in its final English-language form, written by the same person who wrote its original source work: the reputed 862 typewritten pages of the Yiddish-language Un di Velt Hot Gesvign (And the World Remained Silent)? Just as an aside, I have to wonder whether these are believable thoughts for a 16 year old? And why wouldn’t his memory be better immediately, rather than 10 years hence? As far as I can tell, there is no mention in this 1979 essay about writing the almost 900 page Yiddish manuscript while on a ship headed for South America. This particular essay is not available on the Internet, and Seidman is one of the few that even mention it. 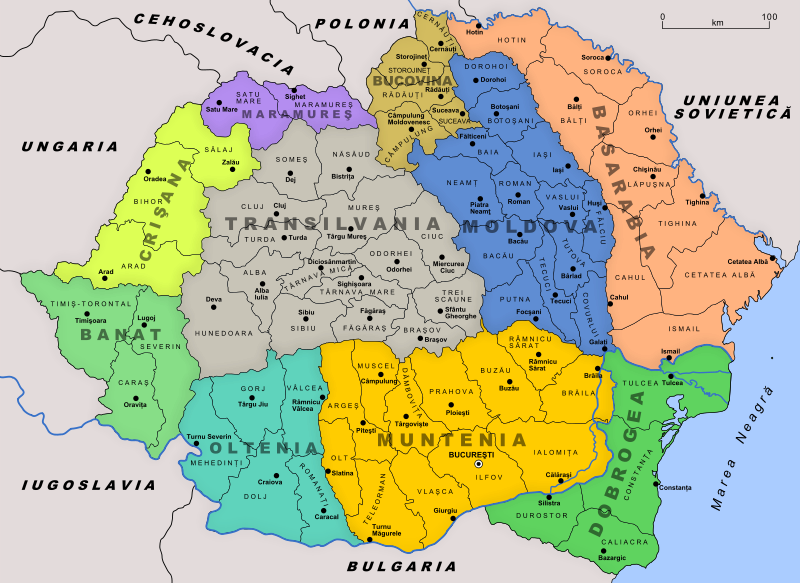 The city of Sighet can be seen in the purple-colored Maramures district on this map of Greater Romania in the 1930′s. Elie Wiesel says in Night that he grew up in a “little town in Translyvania,” and his father was a well-known, respected figure within the Hasidic Orthodox Jewish community. However, Sanford Sternlicht tells us that Maramurossziget, Romania had a population of ninety thousand people, of whom over one-third were Jewish.14 Some say it was almost half. Sternlicht also writes that in April 1944, fifteen thousand Jews from Sighet and eighteen thousand more from outlying villages were deported. How many with the name of Wiesel might have been among that large group? I counted 19 Eliezer or Lazar Wiesel’s or Visel’s from the Maramures District of Romania listed as Shoah Victims on the Yad Vashem Central Database. Just think—according to their friends and relatives, nineteen men of the same name from this district perished in the camps in that one year. It causes one to wonder how many Lazar and Eliezer Wiesels didn’t perish, but became survivors and went on to write books, perhaps. In his memoir, he admits that he was a difficult, complaining child—a weak child who didn’t eat enough and liked to stay in bed.17 He comes across as definitely spoiled, the only son among three daughters. According to Gary Henry, as well as other of Wiesel’s biographers and Wiesel himself, young Elie Wiesel was exceptionally fervent about the Hasidic way of life. He studied Torah, Talmud and Kabbalah; prayed and fasted and longed to penetrate the secrets of Jewish mysticism to such an extreme that he had “little time for the usual joys of childhood and became chronically weak and sickly from his habitual fasting.”18 His parents had to insist he combine secular studies with his Talmudic and Kabbalistic devotion. Wiesel says in Night that he ran to the synagogue every evening to pray and “weep” and met with a local Kabbalist teacher daily (Moishe the Beadle), in spite of his father’s disapproved on the grounds Elie was too young for such knowledge. This could be important because it links up with Wiesel’s visits to Israel and his trip to Brazil in 1954. 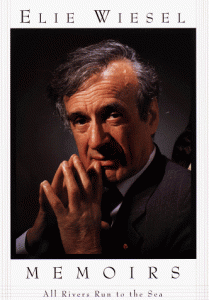 While the common narrative of Elie Wiesel’s post-liberation years focuses on his being a student at the Sorbonne University, Paris and an aspiring journalist, these sources reveal that he was still deeply into Jewish mysticism and involved with the Israeli resistance (terrorist) movement in Palestine. Another point made by Siedman: And while the French memoir is dedicated “in memory of my parents and of my little sister, Tsipora,” the Yiddish (book) names both victims and perpetrators: “This book is dedicated to the eternal memory of my mother Sarah, father Shlomo, and my little sister Tsipora — who were killed by the German murderers.” 31 The Yiddish dedication is an accusation from a very angry Jew who is assigning exact blame for who was responsible. In addition, this brings to mind the fact that Elie Wiesel’s youngest sister was named Judith at birth, not Tsipora (according to his sister Hilda’s testimony). Myth and poetry … from a very historical and political original testimony. Wiesel attempted to explain this in his memoir by describing his French publisher’s objections to his documentary approach: “Lindon was unhappy with my probably too abstract manner of introducing the subject. Nor was he enamored of two pages (only two pages?) which sought to describe the premises and early phases of the tragedy. Testimony from survivors tends to begin with these sorts of descriptions, evoking loved ones as well as one’s hometown before the annihilation, as if breathing life into them one last time.” 32 Just how convincing that is I leave up to the reader. 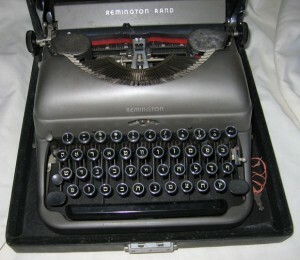 The only other person reported to ever have had the typescript in his hands was Mr. Turkov, but there is no word from him about it. We can only say for sure that he published a 245-page volume in Polish Yiddish titled Un di Velt Hot Gesvign by Eliezer Wiesel. The book has no biographical or introductory material—only the author’s name. Eric Hunt has made this Yiddish book available on the Internet 43 and is seeking a reliable translator. 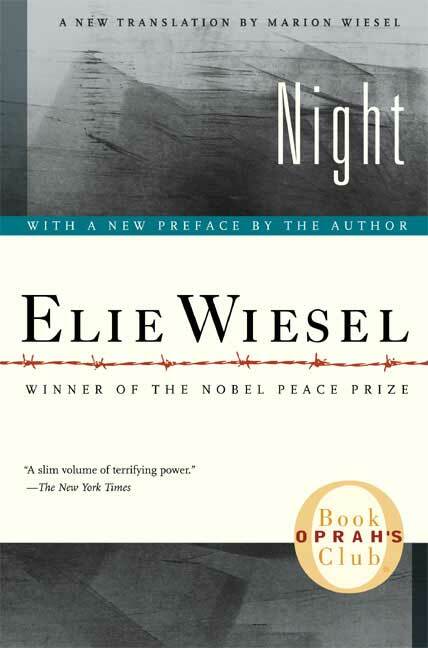 It’s astonishing that Wiesel gives only one paragraph in his memoir to the entire process of writing this book. He doesn’t write of thinking about it ahead of time. In fact, just at the time of his trip to Brazil he is carrying on a love affair in Paris, as well as being very busy, enthused and ambitious about his journalist assignments. Hanna, his love interest, had proposed marriage to him and he records in All Rivers that it “haunted me during the crossing,” during which time he “was worried sick that I might be making the greatest mistake of my life.”44 Yet, as though a kind of afterthought, he then tells us he spent the entire crossing holed up in his cabin, feverishly writing his very emotionally traumatic “witness” to the holocaust, even though only 9 years of his self-imposed 10-year vow of silence had passed. In over 100 pages prior to the trip, Wiesel does not mention wanting to write about or even reflecting on his concentration camp year. The only explanation he includes in that paragraph is: “My vow of silence would soon be fulfilled; next year would mark the tenth anniversary of my liberation.”45 Then, just as suddenly, when he steps on land in Brazil, he is fully engaged in journalism and Hanna once again. He has given the typescript away and seems to have totally forgotten about it. It’s hard to reconcile Wiesel’s professed love of Yiddish 58 with his failure to do any writing beyond Un di Velt in that language. It’s suggested it is because Yiddish readers are a diminishing breed. No doubt, but that was already the case in 1954. For what it’s worth, Myklos Gruner records that when he met Elie Wiesel at their pre-arranged encounter in Stockholm in 1986, he asked Elie if he would like to speak in “Jewish,” and Elie said “no.” They ended up speaking together in English.59 Wiesel seems to have no interest in keeping the language alive. Wiesel says “the tenth year,” which would be 1955, but in the earlier part of the interview he is referring to 1954—because of Mendes-France. Since he is mixing up the date, it’s no wonder we find the same mis-dating in stories about Wiesel’s life and accomplishments in books and on the Internet, including on Wikipedia pages. 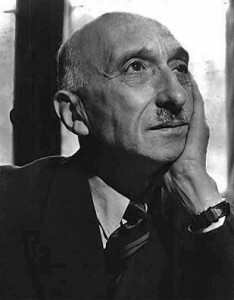 A likely reason is his need to fit the writing and publication of the Yiddish book into his “schedule”, something he had not considered, or just ignored, previous to the Yiddish book being brought to the attention of the world by Myklos Grüner. A soldier threw us some cans of food. I caught one and opened it. It was lard, but I didn’t know that.70 Unbearably hungry—I had not eaten since April 5—I stared at the can and was about to taste its contents, but just as my tongue touched it I lost consciousness. From two weeks to only several days spent in the hospital. 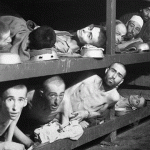 Could this change have anything to do with the famous Buchenwald survivor photograph 72 that Elie discovered himself in sometime after 1980, when he was actively seeking a Nobel Prize? If he were in the hospital “between life and death” for two weeks following April 14 or so, he could not be in that photograph taken on April 16. The author of And the World Remained Silent, whoever he is, never claimed to be in that photograph. 14. Sanford Sternlicht, Student Companion to Elie Wiesel, Greenwood Press, Westport, CT, 2003, p. 3. 26. Jewish virtual library, ibid. 28. Grüner is speaking of Block 56, where what was to become the “famous Buchenwald liberation photograph” was taken by an American military photographer on April 16, 1945, five days after liberation. See our analysis of this photo under “The Evidence” on the menu bar. 29. “Elie Wiesel and the Scandal of Jewish Rage,” Seidman, ibid. 31. Un di velt, n.p. 33. Un di velt, 244. 37. Elie Wiesel, A Jew Today, Vintage Books, 1979, 260 pg. 63. All Rivers, p. 242: “I had been away for two months when Dov recalled me to Paris to cover Pierre Mendes-France’s accession to power. I flew back …” This had to be in June 1954. 70. Why would soldiers throw cans of lard? Sounds terribly disorganized and irregular. How did he open the can? If he didn’t know it was lard, and lost consciousness before he tasted it, we must assume someone in the hospital told him after he regained consciousness that he had been holding a can of lard when he was brought in. Either that or it’s just made up.